Think back to that Star Wars: The Force Awakens ending in 2015. I know, I know. It was a long, long time ago in a galaxy far, far away. But the last shot of Rey having found Luke on Ahch-To made the eventual wait until the Jedi Master even spoke in Star Wars: The Last Jedi an especially excruciating one. 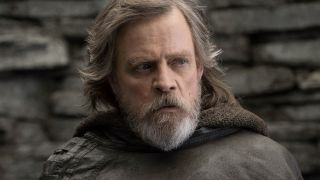 If Mark Hamill had his way, though, Luke would not only have spoken a lot sooner, but the Force Awakens ending would have been much more of a crowd-pleaser, bringing together Luke, Han Solo, and Leia for one final hurrah. While speaking to The Hollywood Reporter for its Awards Chatter podcast, Hamill – who has been candid in the past about his disagreements with certain aspects of the recent trilogy – opened up about his elevator pitch to The Force Awakens director J.J. Abrams. Admit it, you kinda prefer this version, don’t you? Of course, Abrams rejected the idea and the rest is history – even if it wasn’t Hamill’s first choice. Here are the new Star Wars movies coming your way over the next few years!